We all want that wow factor when we walk into our home. It also wouldn’t hurt to get those comments from friends and family. Home décor can be one of the hardest things to get right. 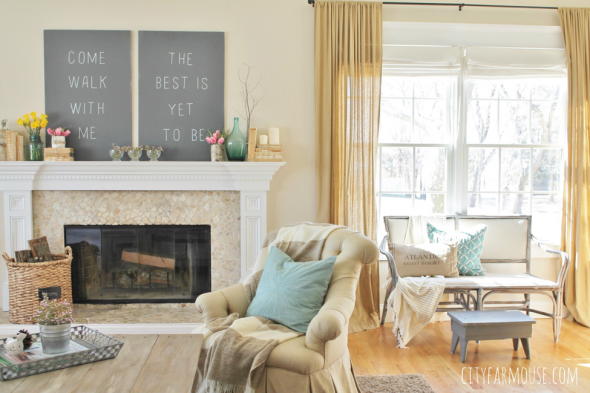 Follow these 7 tips for developing more cohesive home décor. Gone are the days of simple curtains or blinds being enough for your windows. The prestige homes of today utilise the space to make this a feature of the décor. Sheer curtains by Quickfit Blinds and Curtains offer the perfect accompaniment to any window dressing. Balance those blinds with a sheer fabric front to add a touch of class. Plants are a great way to improve cohesive home décor. Not only do they add oxygen to a home, they also can add that much needed splash of colour. Use native plants with more vibrant colours and with your more docile tones look for a tropical addition to make a room pop with excitement. Plants are a great way to get creative with your decorating, climate dependant of course. It is often spoken about and most homes will claim it. However, a truly open-plan style of home can add a lot to your home. Make sure your rooms are functional but not crowded. When planning your living areas remember less is more. Plan the layout of your home to capitalise on all available space. This will really give your home a much more spacious feel. Lighting can be a great way to add to the décor of your home. Think downlights, caged bulbs and chandeliers. You don’t need crystal chandeliers to add class. Instead, think chain link or glass chandeliers as great alternative options which will add a touch of luxury to your home. Use warm bulbs in shades like pearl to really soften the look and feel of your home. Lighting can be a cheaper alternative to change the feel of your home. Over-cluttering your home is a serious crime against at décor. Furniture can be a great way to improve the décor in your home. But putting in furniture for the sake of it can be a disaster. Don’t overcrowd your home with excessive furniture. Instead, consider utilising more functional furniture that only uses the space it needs and may even serve multiple purposes. Bed frames that also double as storage can be a great way to reduce clutter and add to the décor. Focal art pieces are a fantastic way to add class to any home. However, don’t be fooled into thinking that a 2-meter landscape piece is necessary. Pick options which fit with the colour palette and style of your home. Sculpture pieces can be a great addition to any décor. Look for smaller options that can sit on mantles or tall boys. Let your home speak and let it say this is you all over. Make sure the décor of your home represents you. Don’t follow trends in magazines, instead chose accent pieces or utilise feature walls. Let your home do the talking for you. When friends walk in they should know this home is yours and the décor should scream it from the rooftop. Home décor can be a hard thing to perfect. Stay true to yourself and make sure your style reflects who you are, not what a home magazine thinks it should be. Use these 7 tips to develop a more cohesive home décor for your castle.